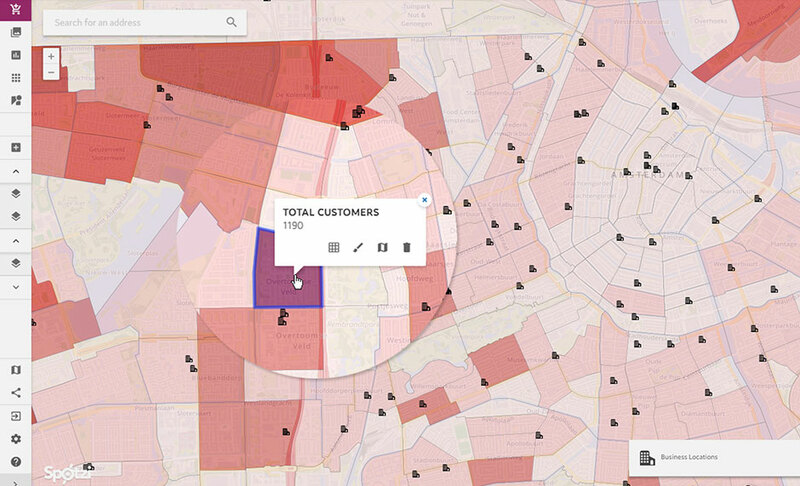 Most Spotzi customers map their data at postal code level. For instance their turnover or the number of flyers per postal code area. We offer a ready-made solution with our Territory Package. With this Package you pick a Postal Code Boundary dataset of a country of your liking and map that in our Mapbuilder. Our postcode maps are available in more than 60 countries! Your company has no boundaries just like the possibilities of Spotzi! Every year we map the postal code boundaries of more than 60 countries. The boundaries are based on the official addresses and parcels of that specific country. With our territory mapping solution you can style a zip code area simply by clicking on it or by uploading your own addresses or postal codes. You will also receive the municipal and neighborhood boundaries of the country of your choice. We can’t make it any easier. Our Mapbuilder Premium subscription is part of the Territory Package. Link your own Excel file to the Postal Code areas on the map. You can then only show those areas that meet certain criteria (such as areas where revenue is left behind). 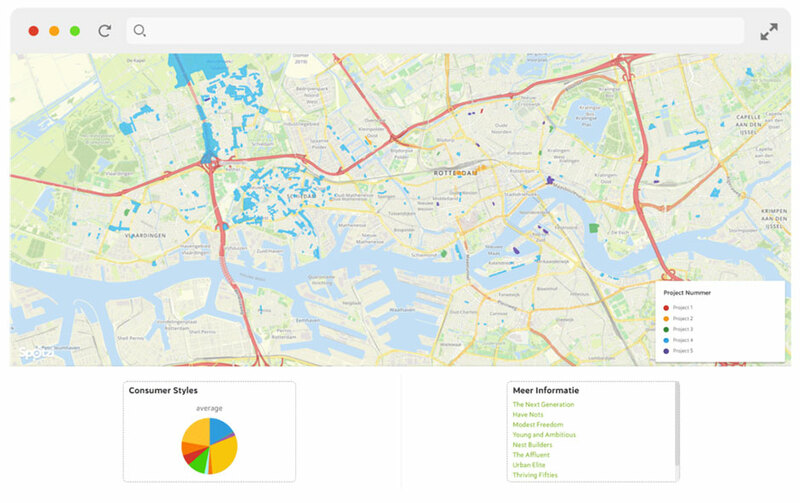 The ideal package for creating and sharing professional location analyses. To locate potential customers, the project developer Heembouw linked the Spotzi postal code areas to mailing lists. With this solution, Heembouw was able to map all its customers and see exactly where the interest for new construction projects was coming from.